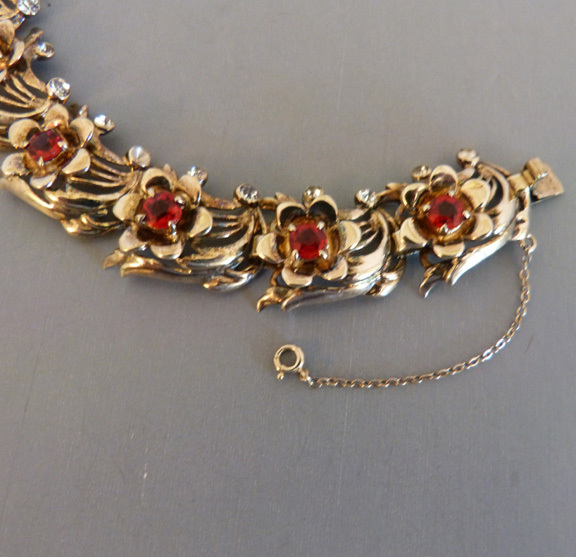 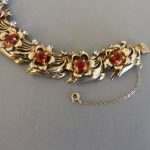 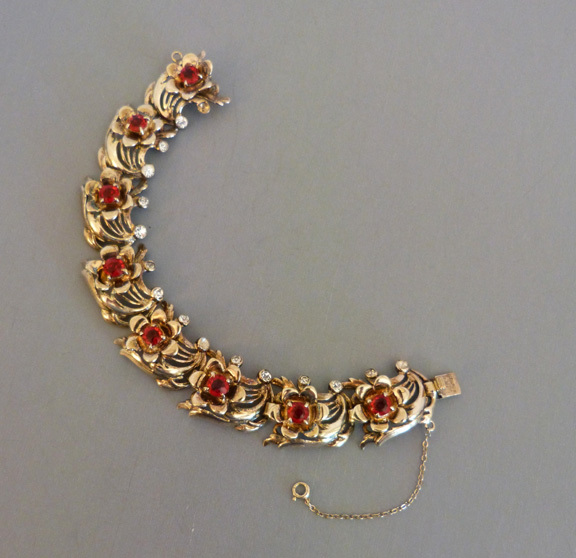 DEROSA flower links bracelet with red rhinestones set in gold tone, with safety chain, circa 1940, 7" by 7/8". 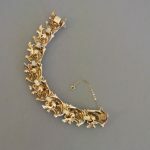 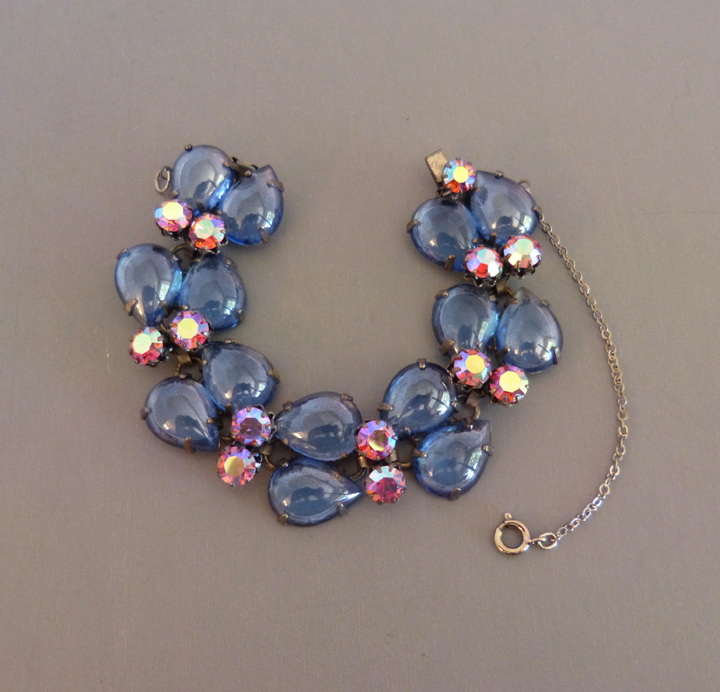 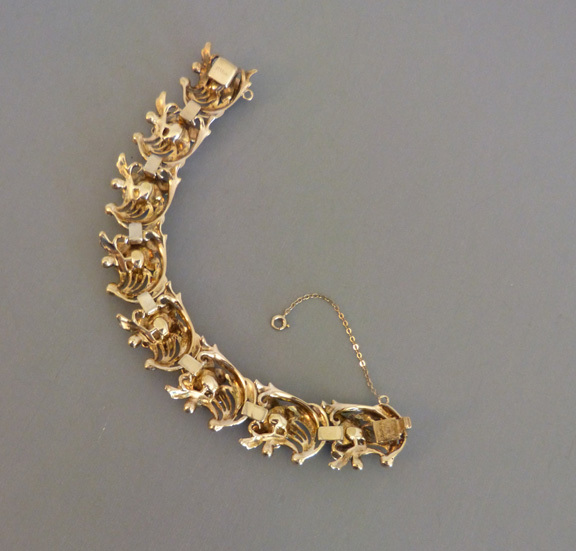 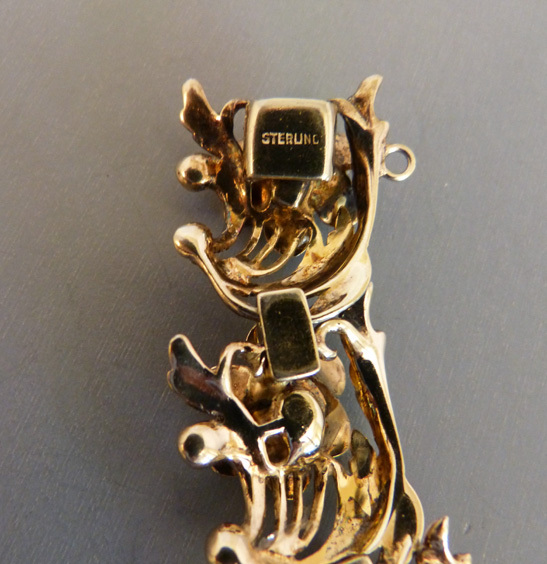 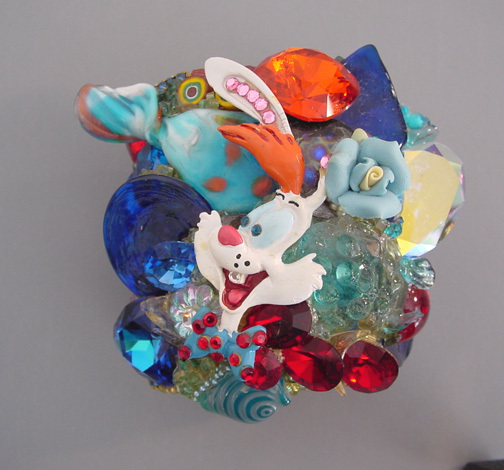 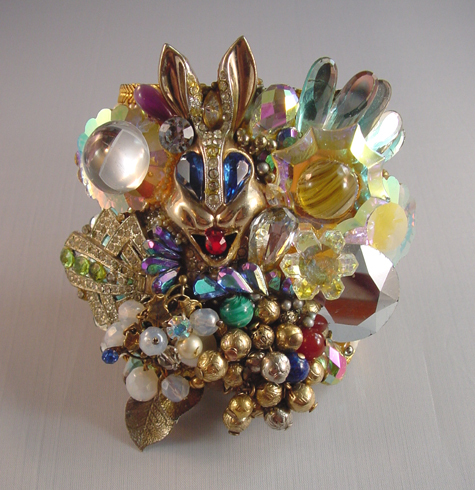 DeRosa did such wonderful pieces with sculpted settings like this bracelet has. 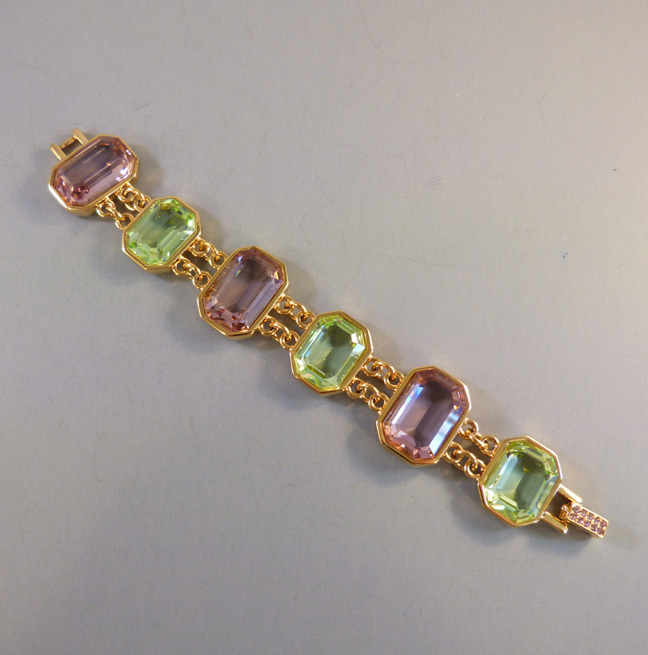 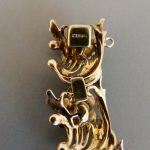 DeRosa made jewelry from about 1934-1970, and their quality is excellent.